When it comes to picking lottery numbers, everyone has a different approach. While some people spend hours pouring over statistics, others simply grab a quick pick on the way home from work. How successful you are ultimately comes down to the luck of the draw, but what impact does each method have on your chances? 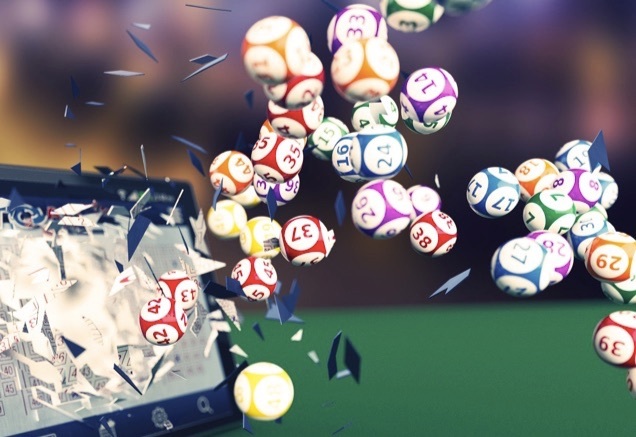 We've analysed the 5 different approaches to selecting your numbers, and given our verdict on whether or not they make a real difference to your odds of scooping the jackpot. Because winning the lottery boils down to a lot of luck, most people opt for lucky numbers in the hope of improving their chances. When the odds of winning are millions to one, let's face it, every little helps, right? Here at Lottoland we investigated the importance of lucky numbers amongst the public, and discovered that 74% of lotto participants believe some numbers bring better fortune than others. The most popular numbers were 7, 13 and 23. Lucky numbers come in all forms of course, with people making their selections based on birthdays, anniversaries, notable days in their lives or numbers that have significance in their cultures. Statistically picking numbers that are considered lucky culturally or individually won't have any real effect on the outcome of winning, and considering its track record, 13 is anything but lucky. However, the sentimental value behind these numbers, and innate human superstition means they'll surely remain a popular way of making picks. For every dreamer, there is a pragmatist, and if you're the latter opting for numbers based on superstition is probably not up your alley. Thanks to the global popularity of the lottery concept, there is heaps on info on each and every lottery draw, and amongst that you can find out which balls appear most. For example, in the UK the numbers 23, 40, 38, 30, 33, 44 have tumbled out of the machine more than any other, making them an appealing selection. There are all sorts of other variables that can be factored in as well, such as most overdue numbers, or most common pairs of numbers. Mathematically there is no reason why any of these numbers have been drawn more than others, but the numbers do suggest some are 'hotter' than others. The only thing to remember when picking numbers like this, is you won't be the only one who has done this research! If those numbers do come up, you are almost certain to split your jackpot with a lot of people. Horoscopes, dreams and psychics have played a part in many people's lotto predictions since the draws began. If you're a believer in this age-old practice, then it makes sense that you might consult the stars on those magic numbers. Unfortunately for devotees of the Zodiac, the pseudo-science has been widely debunked, and their ability to predict anything is purely coincidence. If Jupiter aligns with Orion via the 3rd of next month we can assure you it doesn't mean your numbers are going to come up, sorry. However, it doesn't mean your chances of winning are in any way diminished, so we'll take that as a win. If you thought horoscopes were bogus, you may be surprised to hear there is something even less helpful to your lotto winning plans. Which is of course the huge array of lottery predictions books and software that are available online. You'll have read the promotional material, some unsung genius has figured out a fool proof way of predicting next week's lottery numbers from the safety of their bedroom, and for just £25 you could unlock this mystical power, which they are inexplicably sharing. 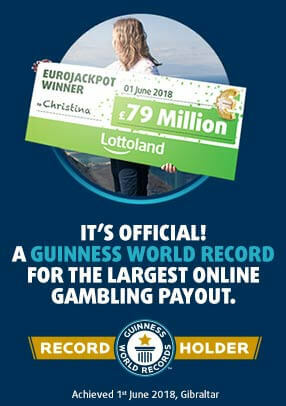 First off, if you have figured it out next weeks' numbers, why share your jackpot with additional people? Secondly, those testimonials that are scattered across their website, what are the odds that they're written by the site owner? Hint, they're a lot better than the chances their system is legit! If someone had figured out a way of genuinely predicting the lottery, this would be something of a breakthrough with much wider repercussions, and wouldn't be hidden away on a murky corner of the internet! So unless they hand you the predictions from the open door of a modified DeLorean, on their way back to next week, it's a scam. Our top tip is to use quick picks, generating you a random set of numbers which are mathematically as likely as any other combination, from 1, 2, 3, 4, 5, 6 to 23, 40, 38, 30, 33, 44 to tumble out of those machines. If those numbers come up, you are much more likely to claim a larger proportion of the jackpot, if not all of it. With popular numbers comes more players, and the more there are, the more people have their hand in the pot, meaning what you take away will be far less than the advertised jackpot. Another good tip is to join a syndicate, while your potential winnings are diminished, your overall chances of claiming that prize is considerably improved, and these groups have proved highly successful over the years. With that in mind, perhaps it's time to ditch number 13, push away the horoscopes, and take a new approach to this week's draws.